Do you believe that classroom teachers should be rewarded for excellence? Do you want our best teachers to represent our profession to the public? 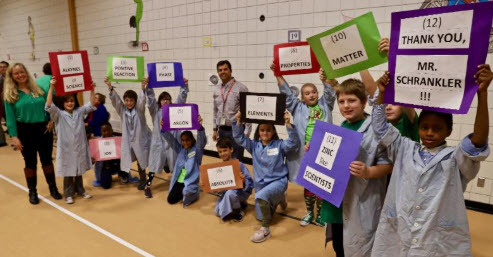 Do you know exemplary science teachers in your school or district? 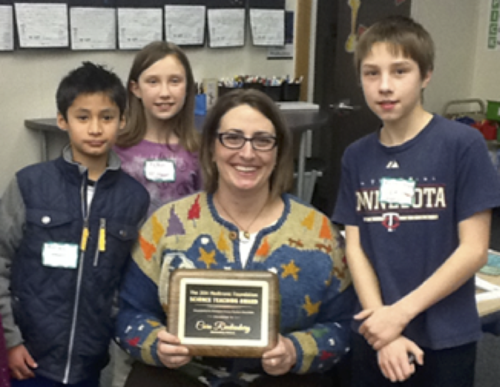 Each awardee will be recognized at the MnSTA Conference on Science Education in November in St. Cloud and will receive a $1,000 grant for use in his/her classroom. The deadline is September 24, 2018. Use our Nomination forms to suggest a candidate (or yourself!) and this application packet here. Two state Awardees (usually one math and one science) receive awardee activities in Washington DC, usually with a White House reception, and a cash award of $10,000. They also receive state recognition and leadership opportunities. The nomination deadline is April 1st and the application deadline is May 1st. The National Board for Professional Teaching Standards provides nationally recognized certification, including Early Adolescence Science (ages 11-15) and Adolescence and Young Adulthood Science (ages 14-18+). http://www.nbpts.org/national-board-certification.